I feel comfortable going out on a limb to venture that PixelJunk Inc. will be the best game about intergalactic soup empires for a long while. I'd have felt fine with that declaration before my hands-on time with the game at PAX Prime 2013 -- the basis is a bit out there, after all. After being given a demo, I'd like to further suggest that PixelJunk Inc. will be a damn fine game regardless of its premise. PixelJunk Inc. is the next installment in a long line of PixelJunk titles, but it's poised to be the best of the franchise. It's completely centered around the manufacturing and exportation of soup, but it's so much deeper than that. It'd be impossible to shoehorn Inc. into a particular genre of games, because it has serious elements of sandbox, real-time strategy, and tower defense. At the beginning of the game, the objective is simple: make some soup. To do this, you might need to start building different facilities to streamline the process. As you gather more materials, it becomes simultaneously easier and more difficult. The operation has expanded, and you're now expected to manage the robot crew that's carrying out your tasks. You probably need to do some of the legwork on your own too. That's where the sandbox elements come into play. 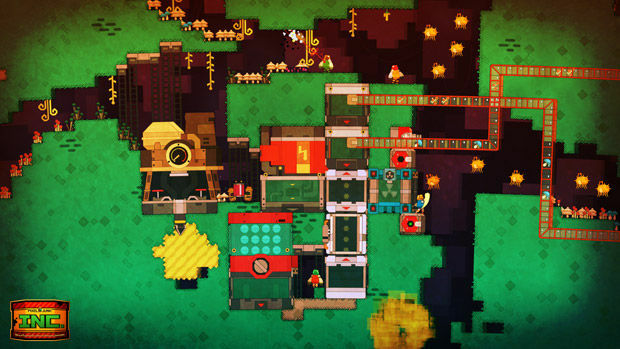 PixelJunk Inc. has completely destructible and terraformable worlds that can be used in whatever way you want. As you scout out materials for your brothy product, you can also build your base however you like. Just make sure that it lends itself to the most efficient method of getting your delicious soup on a rocket ship. The most impressive aspect of PixelJunk Inc. may be the fact that the worlds are completely living, regardless of what you're doing. A cavern may slowly become filled with poisonous gas if left unattended. What was previously a pair of enemies may be an entire nest of the buggers upon return. Leave your base unattended while you search high and low for new ingredients? There's a fair chance that aliens will be ripping it to shreds when you get back. Oh, by the way, aliens will totally destroy your operation if you don't tend to the tower defense characteristics of Inc. As if it weren't enough to be burdened by the logistics of soup manufacturing, you also need to build machines and manually defend your base. I spent most of my time with the demo trying to wrap my head around how anyone is going to possibly be able to keep track of everything they need to do. The build that Q-Games brought to PAX eventually dropped us into a fully automated base that's probably representative of several hours worth of play. I simply couldn't fathom the attention to detail that it'll take to build something of that scale. I'm sure it'll be easier to grasp as you work your way up to that degree of magnitude, but going into it blind was incredibly overwhelming, yet impressive. At least you won't need to go at it alone if you don't want. PixelJunk Inc. allows for four player co-operative play. It looks fun enough to take on solo; it seems downright glorious to tackle as a team. The thought of delegating tasks to make the whole affair even more efficient sounds like it'll only add to the experience. PixelJunk Inc. isn't the type of game that you can pick up for a 30-minute demo and immediately get into the swing of. 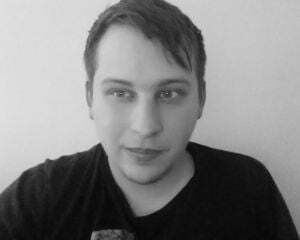 Lead designer Rowan Parker openly lamented as much. However, it is the type of game that you can immediately recognize will resonate with a whole lot of people due to its sheer addictiveness. All this because of soup.